We offer Rent-to-Own STORAGE SHEDS, Portable Garages and Animal Shelters through RTO National. After his long history of shed building back home, Samuel moved his family of five children to Missouri to an Amish community there. After arriving, he put his work-working skills to use in construction work. In 2017, Samuel along with his son-in-law and two sons started a new venture of shed building in MO. 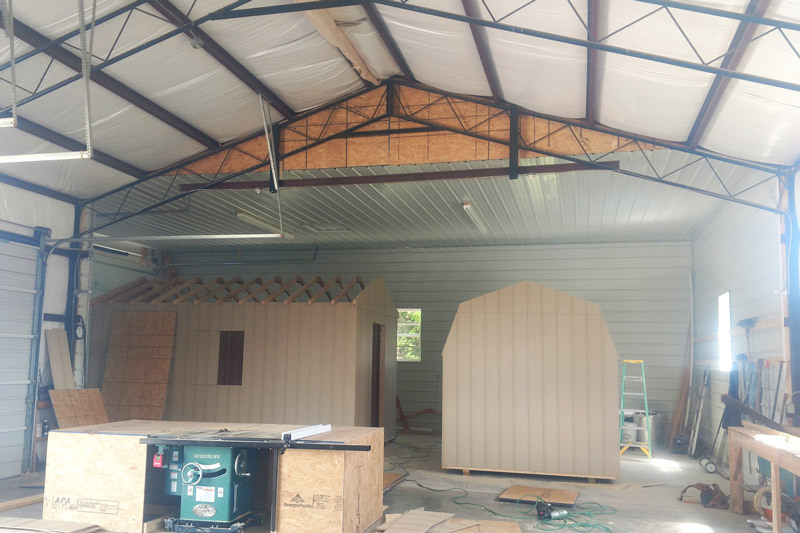 The years of experience in this industry is what gives Samuel and his family a head start in their new Amish Shed business. Visit their Outdoor Storage Shed manufacturing facility and you might meet some of the family. Get started today by filling out a Free Quote form or visit the shop during normal business hours to see for yourself the quality of the AMISH SHEDS produced by the Fisher family.